Sometimes we can picture the journey we should be taking but we don’t know exactly how to put that image into practice. Actually starting a fitness journey can be a daunting concept. You have these thoughts that creep into your mind that maybe every “fit” person was born that way and how will I ever belong in this “group” of people? These thoughts can be scary and put some people off doing any fitness at all! It’s this way of thinking that we try to discourage because EVERYONE belongs and it’s people like Jenya who prove this daily. We’re not saying it’s easy to form this mentality, it can take practice to train the brain let alone the body but your first step in the gym is a start. And it’s small progress that one day mounts up to something amazing. Are you going to walk back out the gym or are you going to face your fears? The weaker person in you will choose option 1 but how will you know your limits if you don’t challenge yourself? 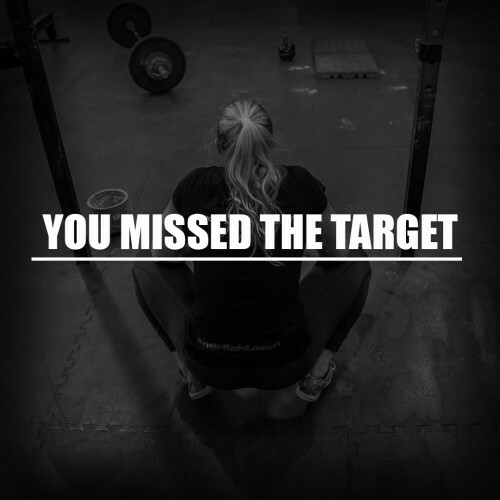 Those people in the gym ALL started where you did – beginners, not understanding exactly what this thing called CrossFit involved. But they chose to continue their curiosity and began to fit in, supported by their coaches and peers, learning new things, new movements and eventually that scared feeling was a distant memory and they now feel better about themselves in most aspects of their life. Isn’t that what we all strive for? Wanting to be the best version of ourselves we can be? Taking care of your health and fitness is the key to unlocking your potential, tap into that and the world is your oyster. Sometimes it takes for someone to say to you “Hey, I think you should do this, I believe in you” for you to take that step. 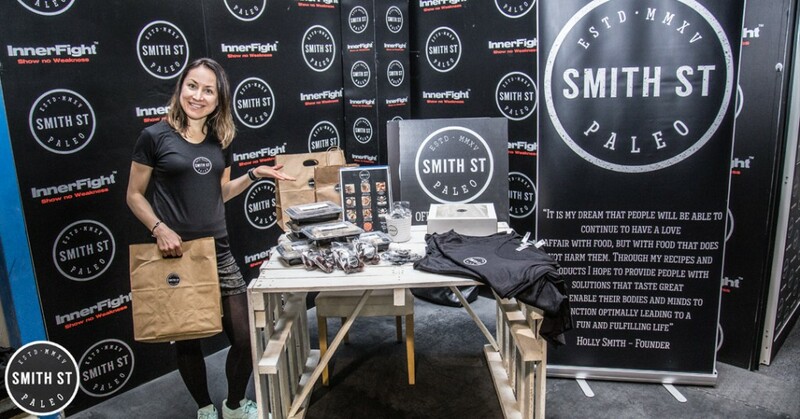 And that’s exactly what happened to Jenya when she met InnerFight Founder, Marcus Smith. Jenya started on her own, knowing that she wanted to do something, she wanted to be active but where to start? So she started running. Jenya moved to Dubai in 2010 and by the start of 2011 she was doing a daily regime of running, in random places with random paces at different times of day. 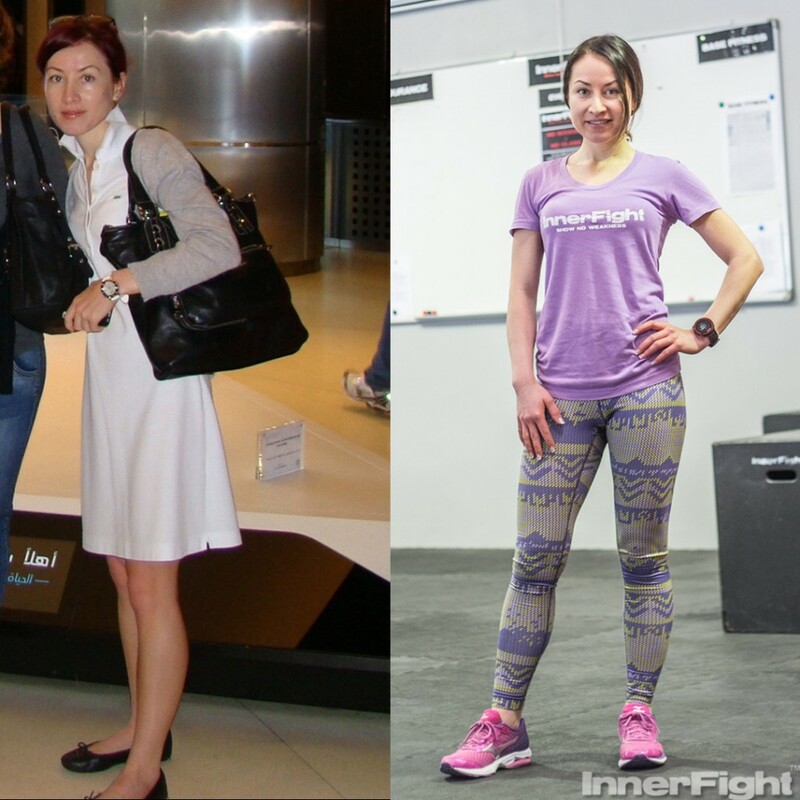 She weighed no more than 48kg with zero muscle and no structure when it came to training and nutrition. In her own words “scary, right?” But then she met Marcus, who got her involved in a marathon in 2013 and she had a regular training schedule and suddenly she thought hold on, if I can do this then what else can I achieve. She decided to give crossfit a go and started doing more weights and less cardio. But then she was having cheat meals almost all the time. 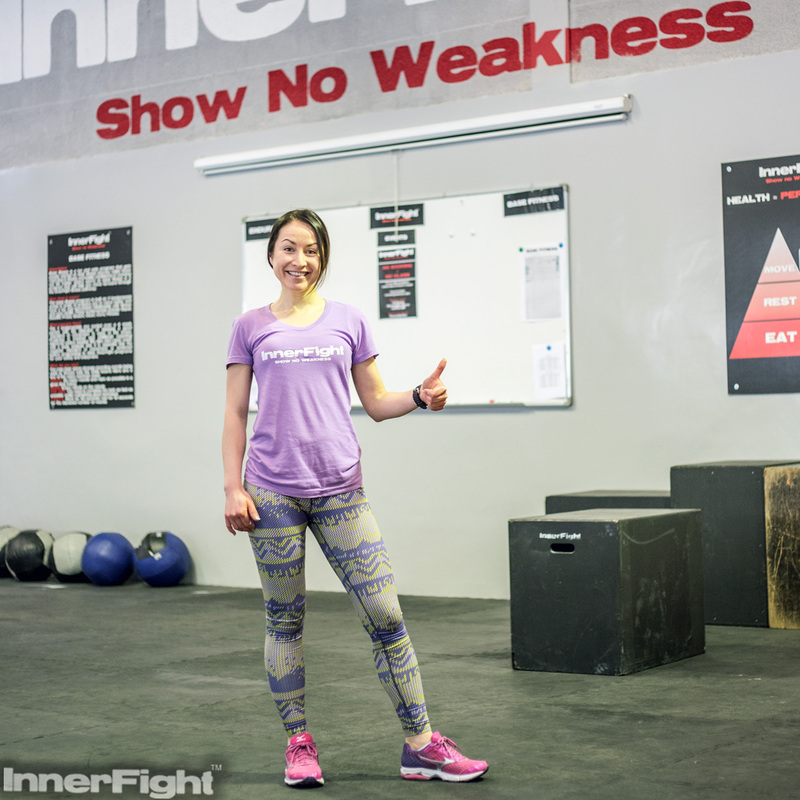 Jenya ended up gaining fat percentage, which showed on her weekly body composition analysis. It was hard but Jenya eventually found the balance of training and nutrition and now she is so happy with her results! So how did she do it? How did she find this balance? Jenya tells us all about her journey. 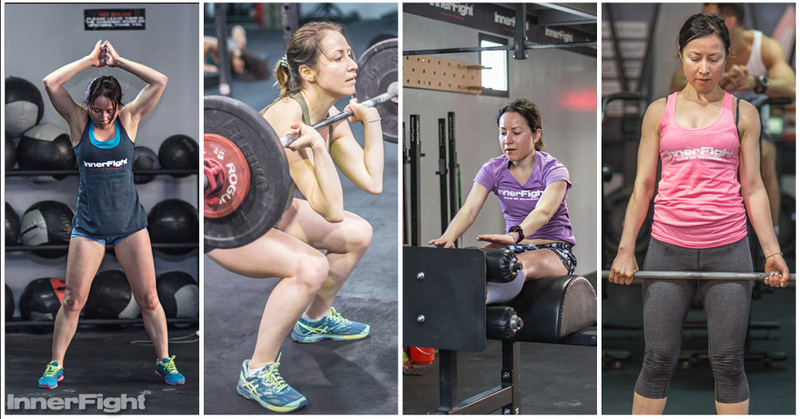 Q: Can you tell us a little bit about your story before starting crossfit? My first encounter with sport started when I first moved to Dubai in 2010. My ex-boyfriend got me involved me in a run, as he used to be a decent marathon runner. So, day by day I started to build my mileage and first races, which was only 5km and 10km. 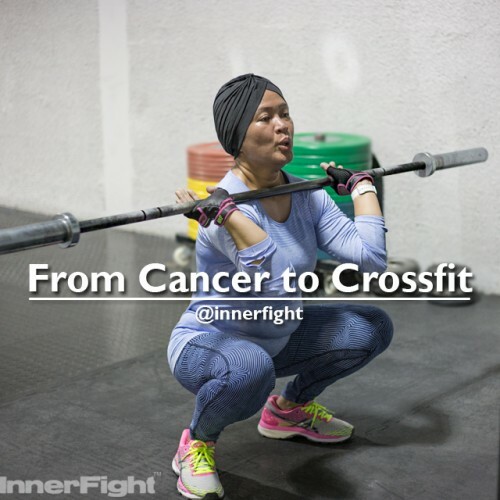 Q: How did your journey first lead you to crossfit? A: One day, a good friend of mine introduced me to Marcus as a good coach and great entrepreneur. I met him personally at the time when he was training for the Dubai marathon. We went to Jebel Hafeet for a run. At the top, when we stopped for break he asked me if I’m doing the marathon. And if not I should sign up for it, which I did! My first marathon I did in 2013. 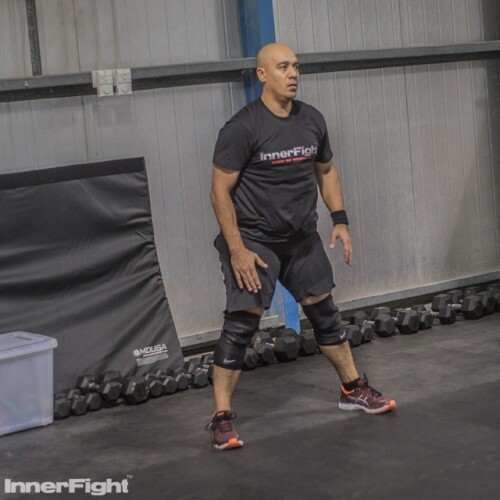 That was my first lead and after a couple of months I joined InnerFight, and never looked back. A: First of all, it helped me to find all my very good friends which is not that easy in Dubai. It helped me build my stamina to feel strong and confident in all aspects, not only physically but mentally as well! When I come for a class I feel happy and I think this is the most important thing in our life, to be happy. To do things which makes you happy. Q: What advice would you give to others who were in your position? Q: Can you tell us the biggest lesson you’ve learnt in the last year? A: The biggest lesson which I’ve learned is to never look back to the past, always look and go forward as there are so many exciting things ahead. Always be honest with yourself, listen to your heart and trust yourself. Q: What do you still hope to achieve? A: In my life, there are so many things that I still don’t know and I would still like to achieve. I guess the best explanation would be that I strive every day to be a better version of me, and to learn to be happy in my life. Q: You recently won the Paleo Challenge, congratulations! How did you find this challenge? I was absolutely thrilled with my winning, it’s awesome! I was so happy when the paleo challenge came up as competition. It was not easy to break up my usual eating routine, which contained grains and dairy. And I’m happy that I challenged myself with this great idea from Smith St Paleo. The result of dropping fat % started showing a week after doing the challenge. It’s amazing how good the change was and how it helped to drop that percentage of fat. Every week I was looking at numbers and felt thrilled that it was absolutely working! So, now I feel so much better, I’m do my running training, I’m doing crossfit and I feel just awesome. Plus, I know the secret of getting abs or proper definition. First it’s your food, second it’s your training. And for me the challenge hasn’t finished. It’s just started! It’s the beginning of a long term challenge! Feeling inspired after reading Jenya’s story? Of course you are! Come and sign up to our Fundamentals class or Base Fitness class and create the new you.